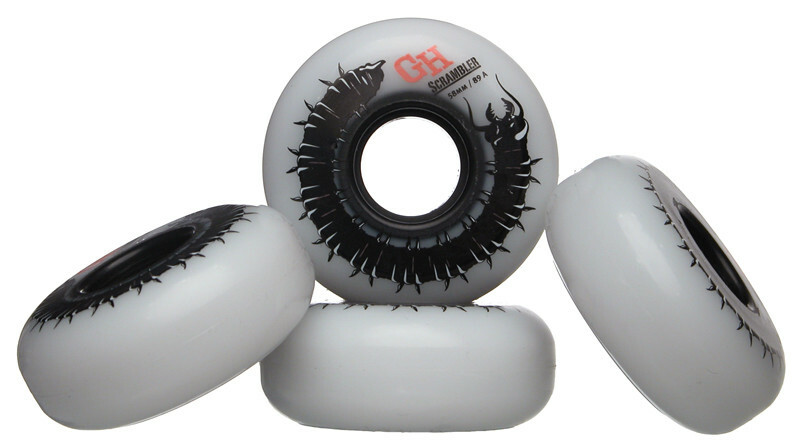 Our GRINDHOUSE Scrambler wheel comes in 58mm/89A. 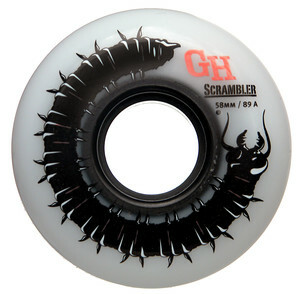 The special top and the size provides a comfortable roll feeling with a good grip. 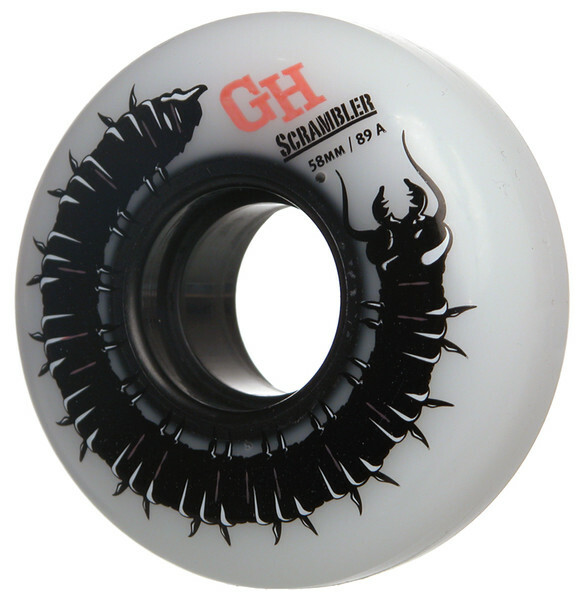 The urethane mixture makes the wheel fast and durable.